Is your rig over loaded? The Truth about GVM’s and GCM’s and Six Wheelers. 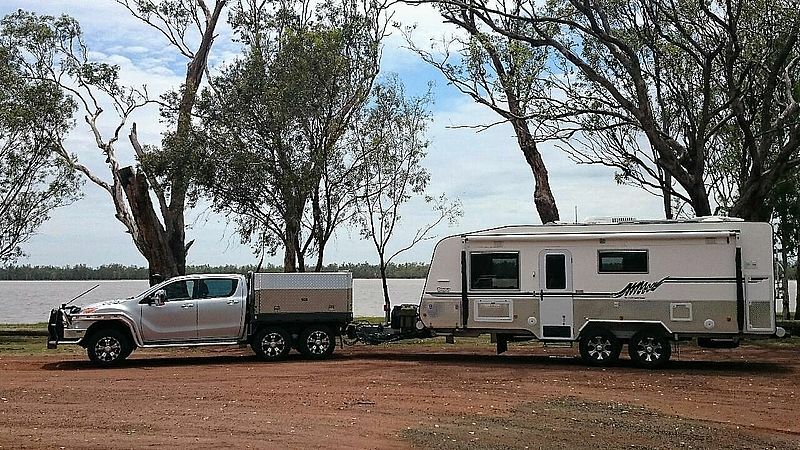 Modern utes & four wheel drives boast some impressive towing and load carrying figures, with many stating 1 tonne payloads and 3½ tonne towing. What they don't tell you is that you can have one or the other, but not both. 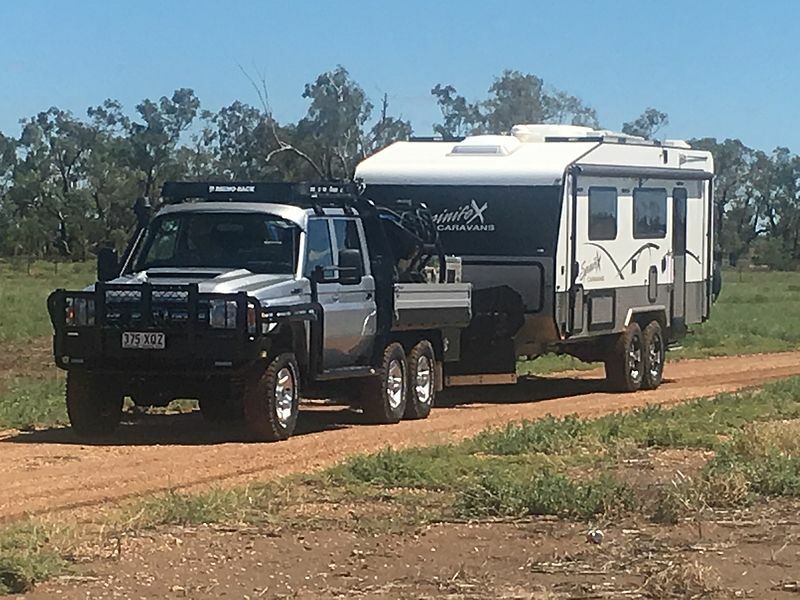 So if you are towing a 3,500Kg trailer, and have a fully loaded tow vehicle fitted with a bull bar, side steps, canopy, tools etc, then there is a good chance that you are already exceeding the legal capacities of the vehicle, and that could be without including passengers. This not only reduces the safety of the whole rig, but can potentially void insurance cover if the worst was to happen. So with those figures in mind, there has to be a compromise on either the weight of the trailer, or the load the vehicle can legally carry. And that is where our Six Wheeler's come into their own. Gross Combination Mass is the maximum weight you can have with the vehicle & the weight of the maximum loaded trailer. 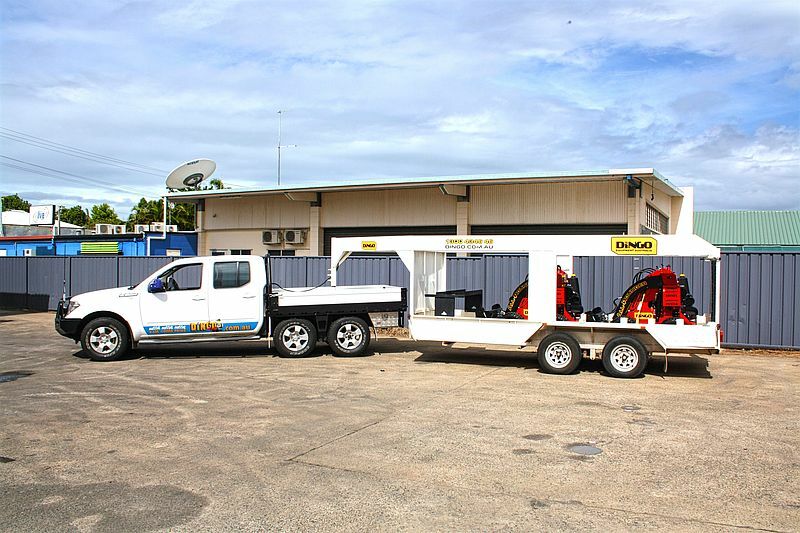 For the bulk of our completed Six Wheeler conversions, we are able to achieve a GVM increase up to 4,495Kg, and a towing capacity increase to 4,500Kg. And here is the compromise - A Ranger/BT50 has a GVM of 3,200Kg from factory and 3,500Kg towing capacity, but a published GCM of only 6,000Kg, leaving available payload well short when towing the full 3,500Kg (after you take off the vehicles tare weight and the ball weight). The important thing to consider with a vehicle converted to become a Six Wheeler is that along with that conversion is a new Compliance Plate. Six Wheeler Conversions Pty Ltd (SWC) is a registered 2nd stage manufacturer (SSM). Add to this the new GVM that SWC puts on the new compliance plate, then we can increase the GCM to between 8 and 9 tonne if we move it into the NB2 category (heavy vehicle). This is all far safer than the combination would have been as a 4 wheeler and within the original GCM. The new combination has an extra braked axle giving better weight distribution, and better road grip, and far better braking ability. So overall a far better, and safer combination. Then it gets even better if the trailer is a gooseneck type. Once the trailer hitch is forward of the rear axle, then the ball weight becomes part of the load. And it stops being a dead weight at the end of a towbar. So the steering and load distribution on the vehicle becomes far better. 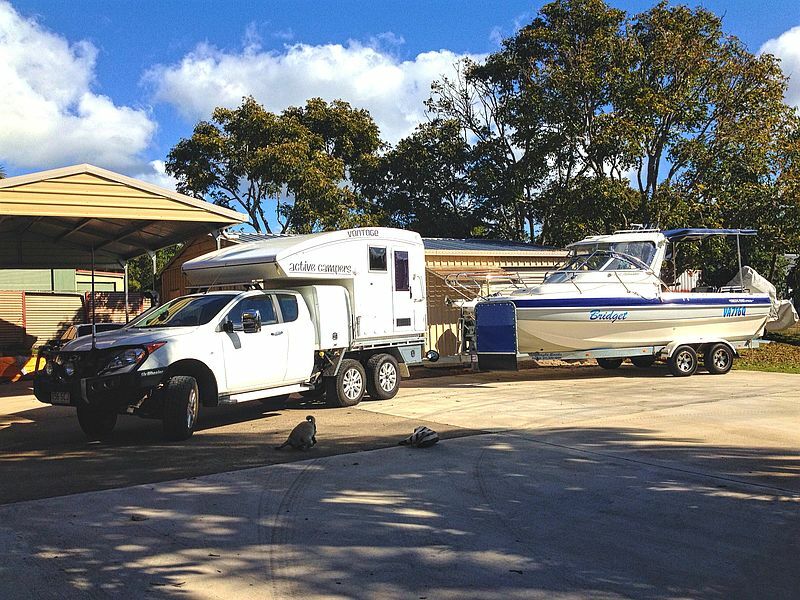 Gone are the tendencies of the trailer to sway and overtake control of the towing vehicle. And the extra brakes help too. But legally it helps as well. 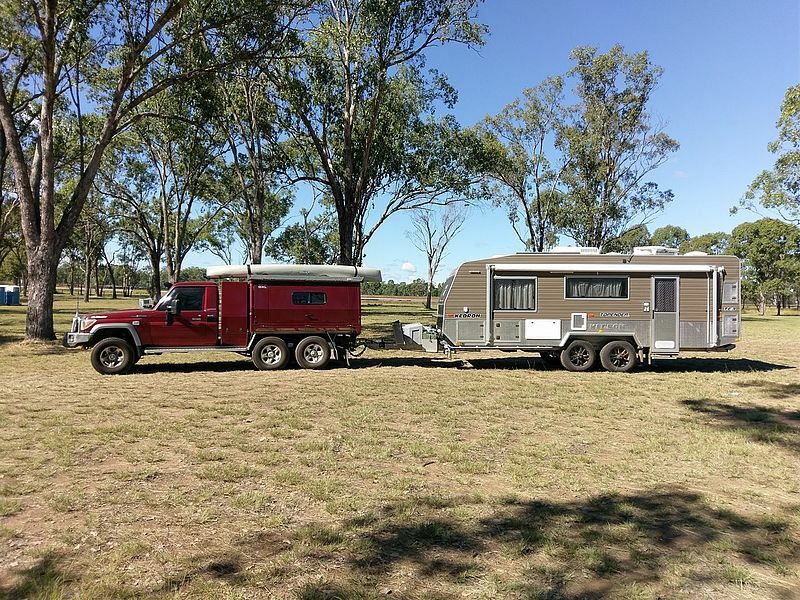 Because a tonne or so can be on the vehicle as load,( and the trailer is then considered to be 3.5 tonne), then the lighter Six Wheeler can still legally tow a 4.5 tonne gooseneck. This is the biggest trailer allowed with electric brakes. Above 4,500Kg trailer weight and you have to have a truck in order to get legal brakes. And so, from a legal aspect, a Six Wheeler is the only sensible way to tow trailers above 3,000Kg & or a gooseneck/5th wheeler. And it is also the only safe way to control these trailers with heavy loads. 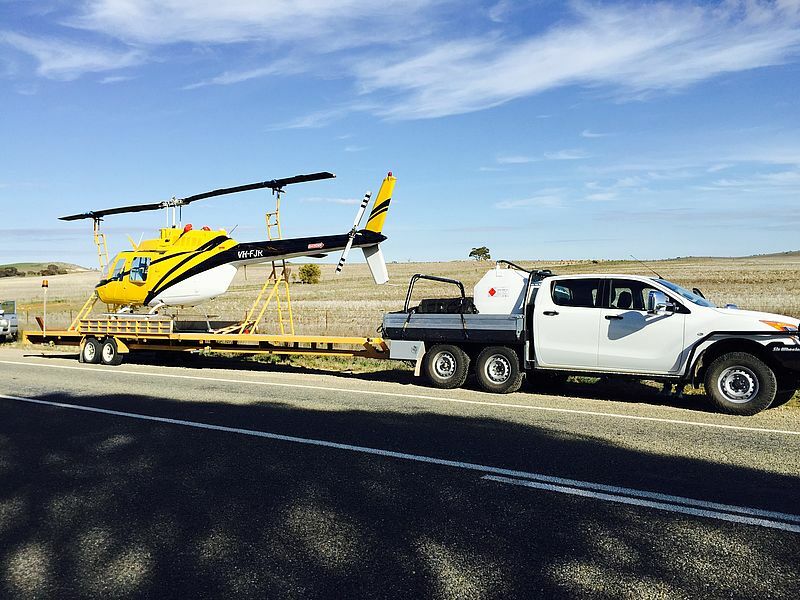 Because of the way we build our EYE- -TIE ute trays, and the way we mount them to the chassis, a gooseneck or 5th wheeler hitch can easily be added into the new tray as we build it for maximum strength and durability. Please note that all weights quoted above were correct at time of publication, but may vary due to changes in Government legislation.